Well executed external signage is crucial in maximising your exposure opportunities. We have a diverse range of products available than can factor in changing environments and fit different spaces including buildings and outdoor. From initial concept, site audit, design, creation through to completion; the team will manage each step of the way to successfully deliver the right solution. Sky signs takes your brand to the next level. Displaying your branding on top of a building or upper section of a high rise allows you to stand out and increase awareness of your company. CV Media & Signage can provide you the complete solution including; design and documentation, planning, engineering, council approval, manufacture, traffic management, safety access equipment, installation and maintenance. View our solutions for JLL and LGIA. Fascia signage covers the vertical section of a building, generally just below the roof. As the first sign visitors and passing traffic will see of your business, it is essential that it reflects your branding and provides a strong first impression. Fascia signage can improve the appearance and appeal of your business, promote products or services and increase brand awareness. A popular choice due to its flexibility, fascia signage can incorporate a range of signage products such as fabricated letters and logos and illuminated signage. Cantilever signage are double-sided signs projected from a wall, anchored at one side. They are popular as identification and directional signs for foot traffic, gaining attention more readily than signage integrated into a wall. A cost-effective solution, a cantilever sign can utilise an existing structure without the need for additional structural work. 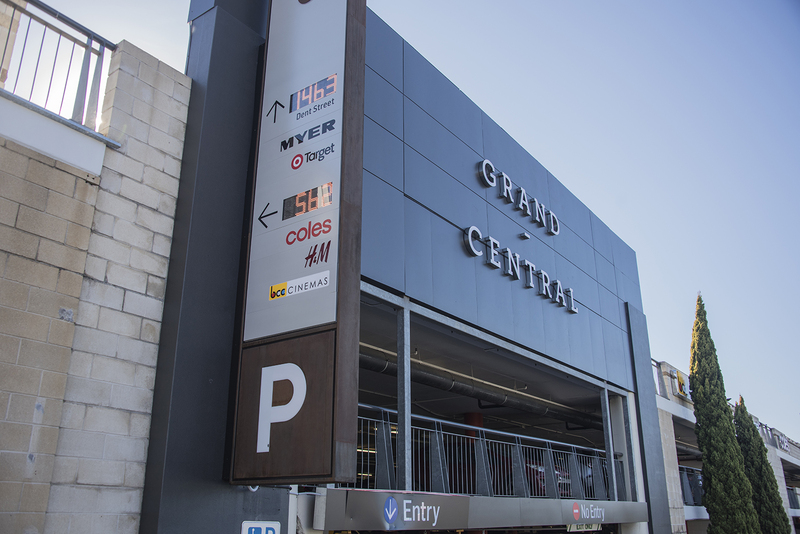 With a full understanding of the structural issues involved with hanging signage, CV Media & Signage will ensure your cantilever signage is designed, manufactured, installed and maintained in complete accordance with the Building Code of Australia requirements. Fabricated signage and lettering is perfect for branding with straight-edged typefaces or designs to ensure sharp, crisp edging. They are all manufactured in-house using computer precision routing ensuring the most intricate designs and logos can be produced. A range of materials can be utilised for fabricated signage including opal acrylic, aluminium, steel, ACM, PVC and foam. We can tailor the material, shape, size and design to suit your brand’s preferences and requirements whilst ensuring it is durable, weather resistant and fits within the surrounding environment. Fabricated signs can be as simple as bold company letters, or add another dimension with illumination through LED strip lighting or neon. From concept to product, our innovative design and manufacture team have a proven track record in creative and innovative signage that will realize your vision. Illuminated signs are a CV Media & Signage specialty. We can design and manufacture any type of illuminated sign including lightboxes, 3D illuminated letters, LED backlit signs, neon, illuminated flex face and illuminated acrylic face. From concept to prototype to final product, our innovative design and manufacture team have a proven track record in delivering innovative illuminated signage solutions. Lightboxes are described as an illuminated flat box display made of translucent glass or plastic. Our experienced and qualified team has the capability to fabricate, wire and install unique lightboxes ready for your customised graphics to be applied. Our unique system of wide format flexing has been developed to ensure seamless replacement for new faces and graphics with minimal disruption. Newer slim line boxes and LED technology allow eye-catching vibrant signage opportunities in smaller areas. These technologies providing opportunities to put backlit promotional material in places never possible before.